I get tired of writing serious and technical stuff sometimes, so now it’s time for some fun stuff. After all, “Fun” is my name. Really, it is. This is a great workout when the weather is crap, and you just want the kids to have fun to keep their mind off the elements! Divide your group into smaller 3 or 5 person teams. For a 3 person team, you do a 24 x 200m relay, and for 5 person team, you do 40 x 200m relay (assuming everyone runs 8 segments, but you can let them run 6 segments too.. see pace chart info below). We do these in training flats… no spikes! I like this workout because it trains the 4x400m visual pass technique. The incoming runner is tiring and not as fast a 4x100m relay. Think spring training in baseball. It’s all about fundamentals! For the full article, see Baton Exchanges: How to Run the 4x200m & 4x400m. For 4×100 Relay, see Baton Passing – Upsweep, Downsweep or Push Pass? On a 3 person team, you get double the recovery per run. For pacing, use the Clyde Hart 200m Pace chart of 28 sec –> 8 reps, 26 –> 6 reps. Women add 3 seconds. More info on this article. On a 5 person team, you get four times the recovery per run. For pacing, use the “2nd half 400m pace”. 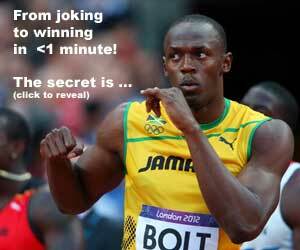 For example, a 23s PB for 200m results in a potential of 50 seconds for 400m, using 24 and 26 for splits. Thus, run the relay in 26 seconds. Give it a try, and comment below. Your name is very funny. By the way great post.